We’re been working with partners around the region in the fight to save Oswegatchie Hills, a beautiful property nestled along the Niantic River in East Lyme. The Zoning hearings in the fight began and ended dramatically, as you’ll soon see, and we’re now waiting for a report from the wetlands agency in town. At the June 18th hearing before the East Lyme Zoning Commission, the Friends of Oswegatchie Hills (one of our allies in this fight, and fellow intervener) provided evidence that Landmark Inc., the developer proposing to develop the Hills, actually mapped the wetlands incorrectly. The Friends submitted exciting evidence showing that there are previously unmapped wetlands on the property and the adjoining property. One wetland appeared to be located directly underneath Landmark’s proposed Building #5. A soils scientist engaged by the Friends also testified that a portion of the wetland adjacent to Landmark property was a vernal (seasonal) pool, a habitat type that tends to be especially ecologically rich and is crucial to the survival of species including salamanders. This finding of previously-unmapped wetlands supports our contention that the proposed development completely disregards and even misrepresents the destructive environmental impacts of this proposal and will be good fodder for the wetlands agency to consider. The developer had an opportunity to present his case and failed to seriously rebut any of our contentions about the importance and precedence of wetland impacts to this project. After the presentation of evidence for the newly-discovered wetland, the chair of the Zoning Commission formally closed the public hearing on the development proposal and stated that the Zoning Commission would postpone a decision on the application until it received a report from the Inland Wetlands Agency. This is a very significant development and credit goes to the Friends and Save the River – Save the Hills (another of our allies in this effort!) for getting out there and finding the truth about the natural resources in the area. It’s the strength of local love for this land—and real information about the extraordinary environmental value of the site we have here—that will protect it from this ill-advised development proposal. 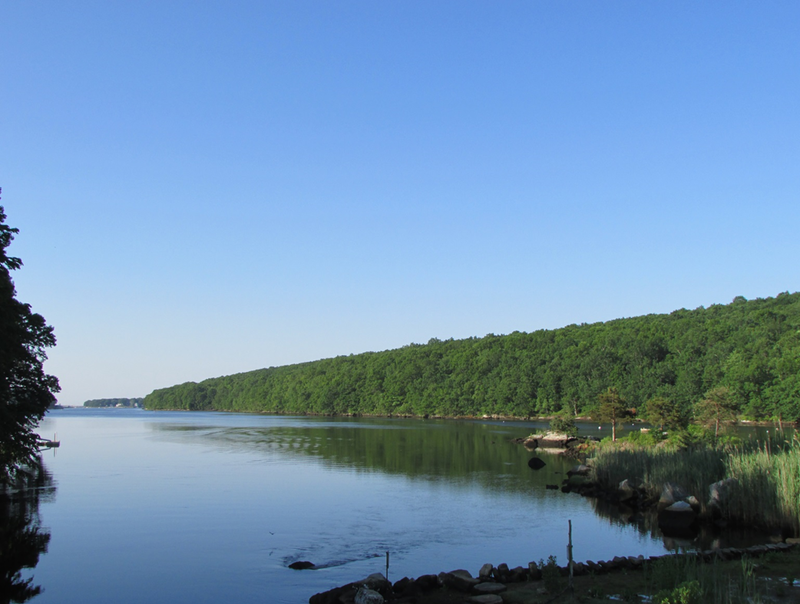 Over recent months, we have argued that this is an environmentally destructive proposal that will destroy the Hills and pollute the wetlands and Niantic River Estuary. The developer has come in arguing that approvals should come now and environmental considerations should come later, if at all. In our June 4th hearing, the Zoning Commission heard our legal argument and granted our request to refer the application to the East Lyme Inland Wetlands Agency for a decision on adverse impacts to wetlands before they make a decision. We had argued in a pre-hearing submission that the Zoning Commission had to do this under law and they agreed with our legal argument. Now, we await the report from the Wetlands Agency and the final decision from the Zoning Commission. While we hope for a good decision, whatever the result, this battle will continue until the property is finally purchased and permanent conservation restrictions are put in place and CFE will be leading the legal charge. Posted by Roger Reynolds, legal director at CFE/Save the Sound.